The development of Cyprus, driven by the tourist trade and banking in particular, threatens the island's rich biodiversity and its very sustainability, given the huge demand on limited water resources. Rapid development is stretching water resources to breaking point: Nicosia (June 2013). Water and water scarcity is a critical issue for Cyprus. Known as the 'green island' in the ancient world, Cyrpus was an exception to its middle-eastern neighbours: it was largely forested and had abundant supplies of surface and spring water. 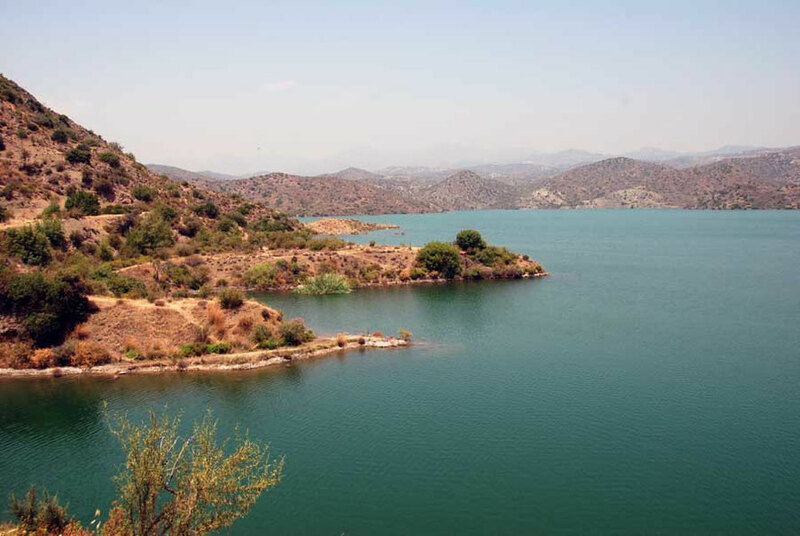 This was due to the Troodos mountains which catch most of Cyprus' water. 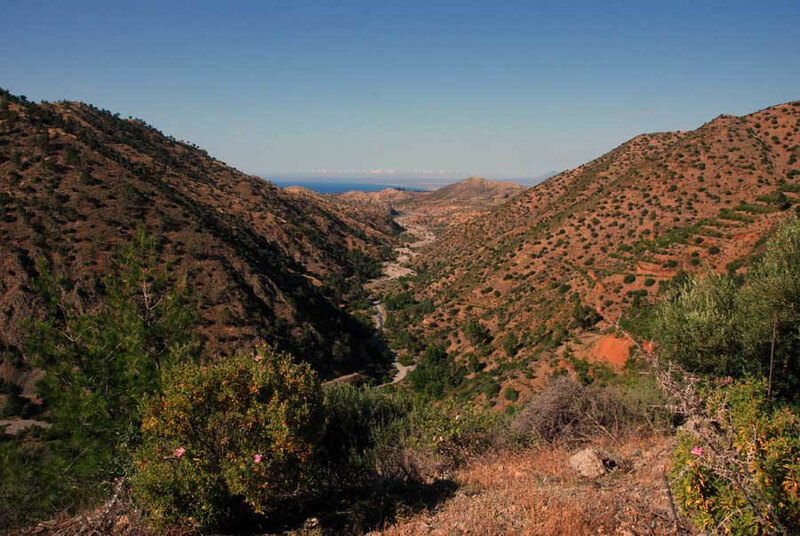 In the Mesaoria plain annual rainfall ranges from 200-300mm: in the Troodos its 600-1100 mm. Without the mountains Cyprus would be a semi-desert with an annual rainfall of only 200-250 mm. Water supply was critical for the location of ancient settlements and where that supply was limited major engineering achievements – like the 40 km aqueduct linking ancient Salamis to its water supply in the Kyrenian hills – were constructed. 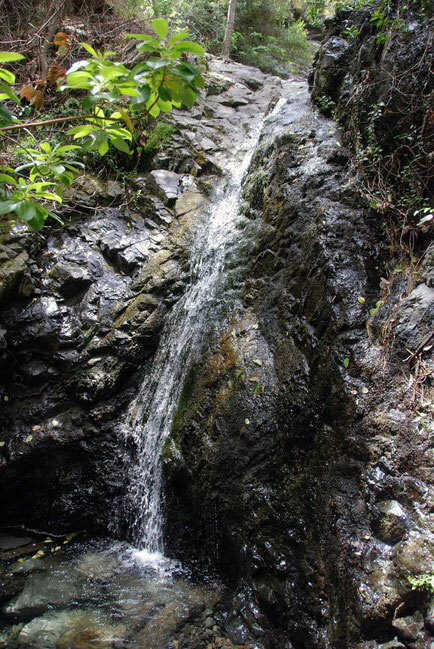 Water of life: rare summer stream high in the Troodos near Machairas Monastery (May 2012). Water is so scarce in Cyprus that it is sold in parcels. You buy an hour here and an hour there from the owner of a spring. ... Families being what they are, it is common for a single spring to be owned upwards of thirty people. ... The whole problem, then, is one of gaining common consent. ... As may be imagined, the most elementary litigation assumes gigantic proportions - which explains why there are so many lawyers in Cyprus (pp.54-5). 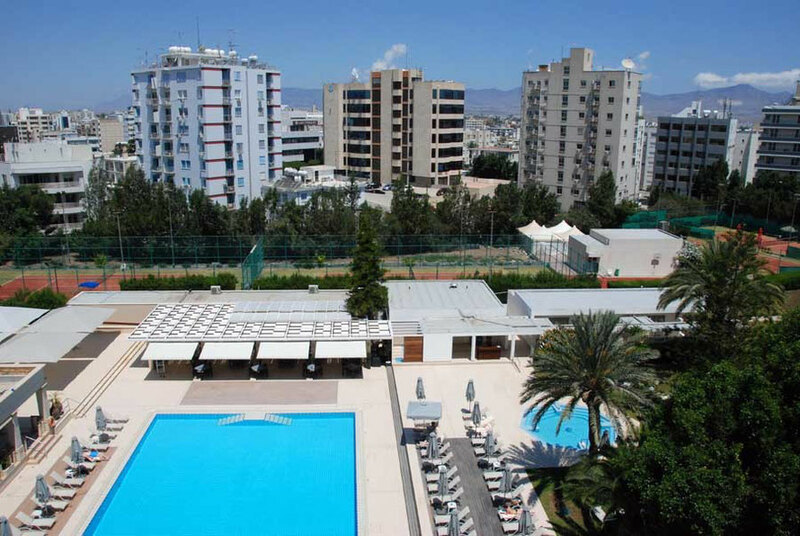 The volume of rainwater falling on Cyprus during a year with normal rainfall is about 4600 million m3. 77 per cent of this evaporates while 13 per cent flows as surface water. 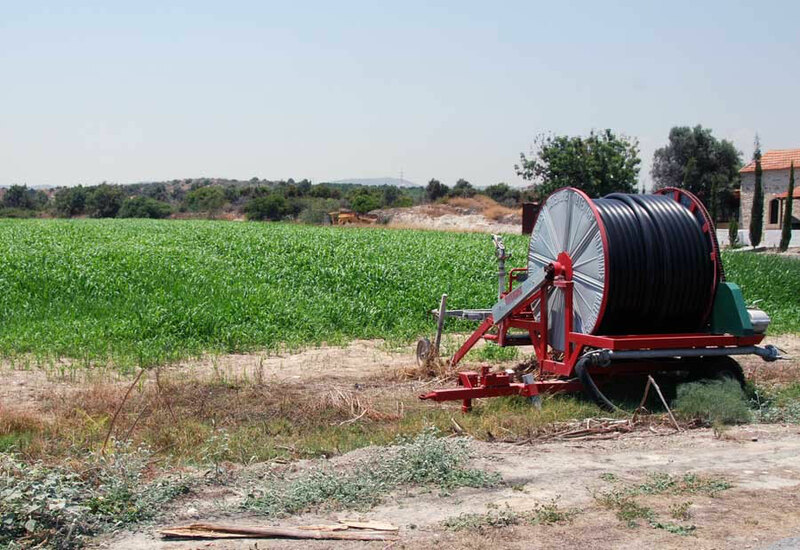 The remaining 10 per cent becomes groundwater of which 30 million m3 (7 per cent) reappears on the ground surface through springs (Cyprus Geology.com). In the 1970s underground aquifers became exhausted and damaged through over-extraction of water. This led to the development of a major dam building project in the steep valleys of the Troodos mountains to capture winter surface water. [Cyprus now has] the largest number of dams per square kilometer and the largest storage volume per capita, with over 100 dams and total capacity 304 million cubic meters [of any European country] (Tsiourtis). 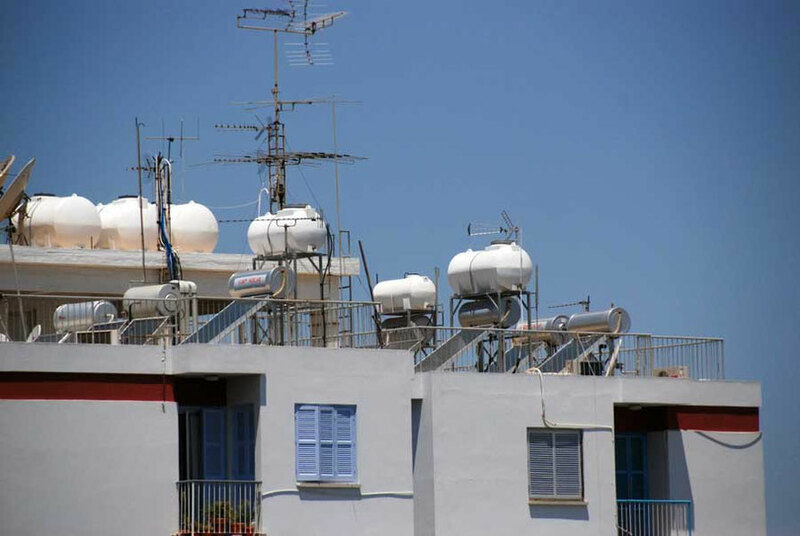 Across Cyprus water shortages have become increasingly acute, culminating in freshwater imports in 2008, in Greek tankers to the Republic and in Scandinavian designed, floating plastic ‘balloons’ to Northern Cyprus. Desalination capacity has been increased [ ..] and in 2011-2012 a freshwater pipeline and electricity supply will connect the island with Turkey. The channel between Cyprus and Turkey is relatively deep so the pipeline will be suspended rather than run along the seabed. The project is politically contentious with Greek Cypriots reluctant to be dependent upon Turkey in the longer term, assuming reunification at some point. Turkey, which is not generally water-stressed, sees the opportunity to ultimately export water to Israel. The seabed between Cyprus and Israel is much shallower and flatter, making such a pipeline significantly less costly (see Ross French). 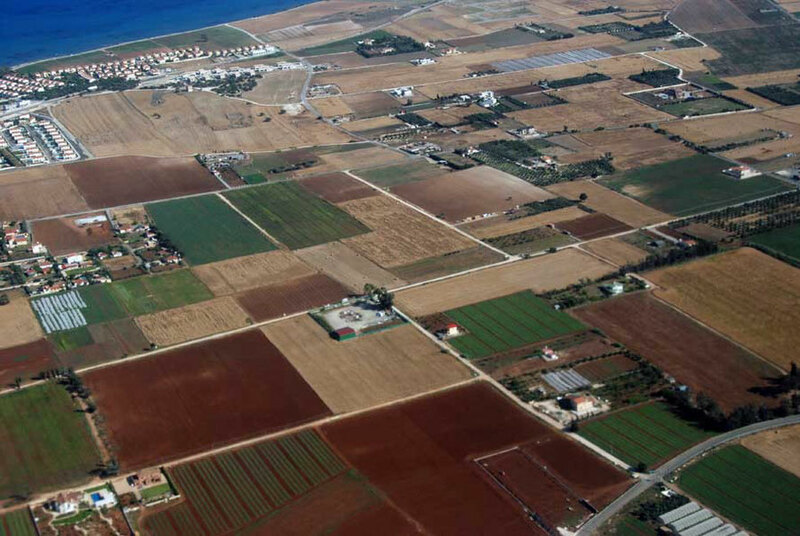 In 1997 the government began an ambitious programme of water desalination with plants at Dhekelia and Larnaca airport. There are now six on the island, the last being built at Akrotiri. At the same time the programme of dam building around the edge of the Troodos mountains to catch winter rains continues apace. More worrying is the 100 year trend of rainfall reduction that shows a decline of the thirty year average from about 590mm a year to 490mm a year. (Source above). The desalination plants use reverse osmosis technology that requires that the seawater be pressurised rather than boiled as in older technologies. The Dhekelia plants cost $29m and produces 40 000m3 a day. 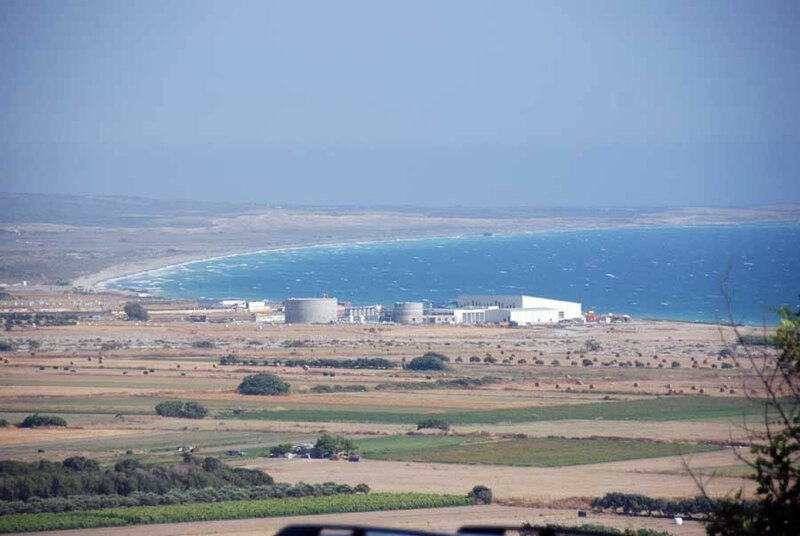 Cost factors in Cyprus's favour are that most of the population is close to the sea and that water demand is at its highest in the summer when sea temperatures - reducing desalination costs - and solar energy potentials are at their highest. Cyprus is experimenting with Concentrated Solar Power as a means of generating electricity and desalinating water at the same time. There is a nice Euronews video on water resources in Cyprus here.